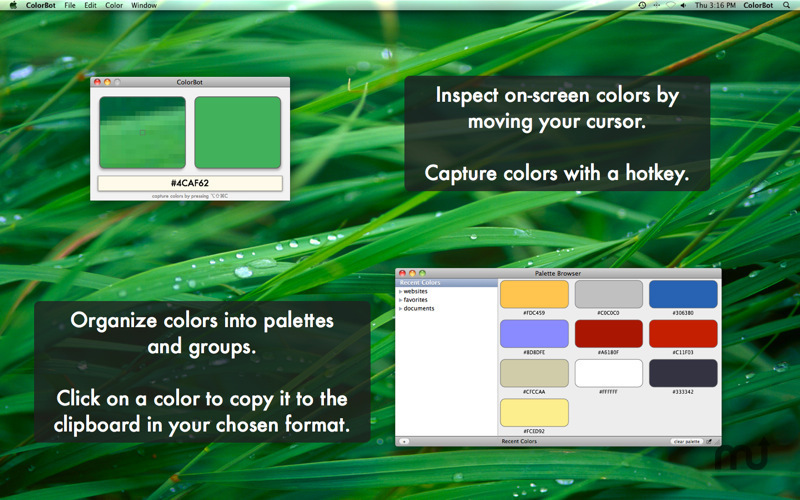 Color picker for on-screen colors. Is there a better alternative to ColorBot? Is ColorBot really the best app in Illustration category? Will ColorBot work good on macOS 10.13.4? 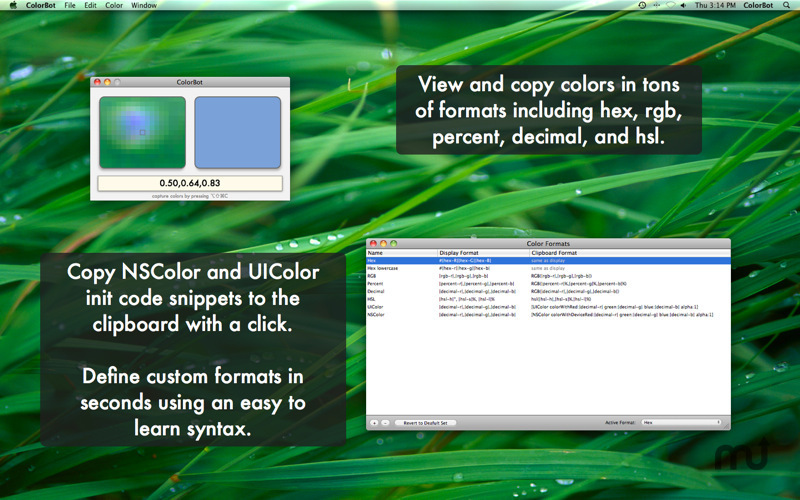 ColorBot is a better way to deal with colors on your Mac. Designers and developers work with colors every day. They're essential. Yet, finding, organizing, and working with colors is still a mess. ColorBot aims to fix that. 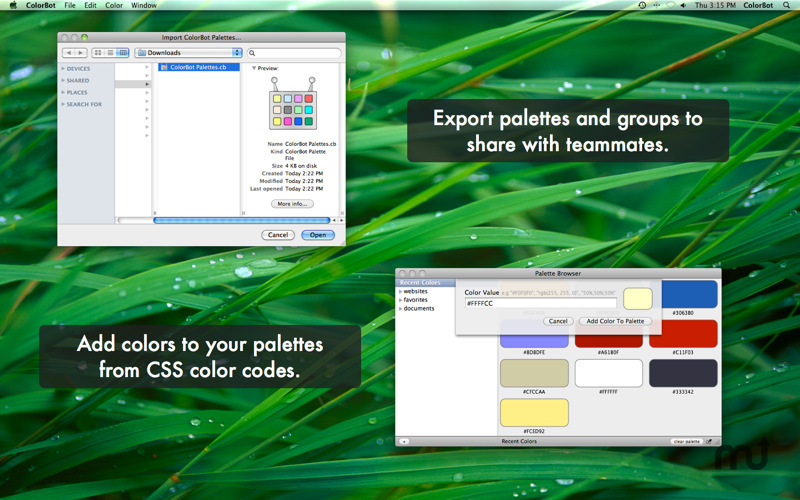 Add colors to palettes via text in tons of formats. To see ColorBot in action, visit our webpage for a screencast. Follow @ColorBotApp on Twitter, if you're into that kind of thing.